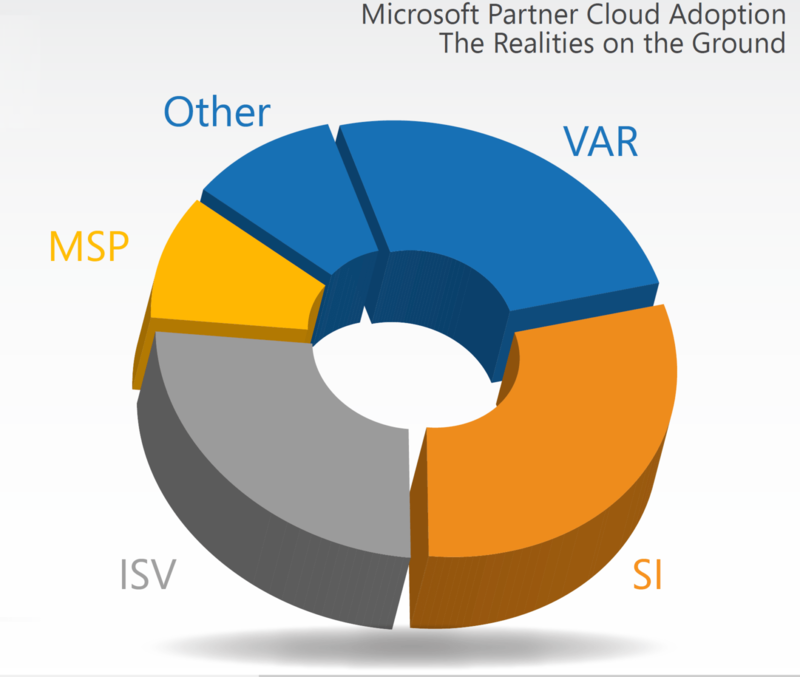 Recently completed, this year’s Study dives into the impact the Cloud has had on Microsoft Partner revenue composition, margin structure, growth rates, and company valuations. 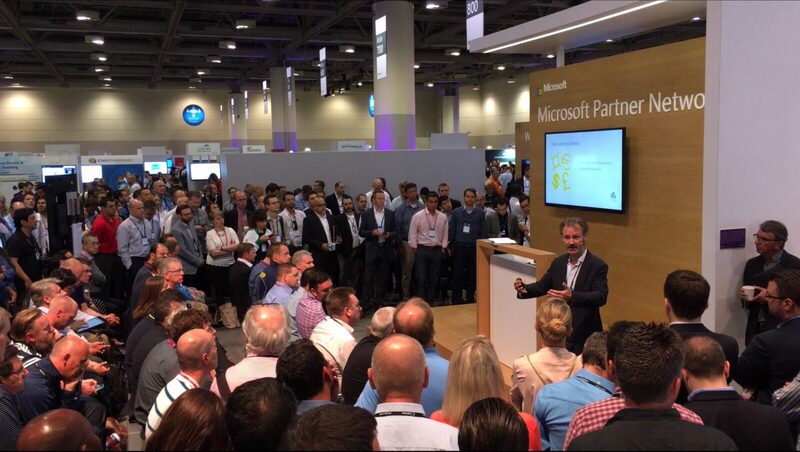 As well as the core strategies being used to monetize the Cloud opportunity. Contact me for your free copy. Does a focus on profitability destroy shareholder value? In the Cloud, it certainly seems that way. For many owners I know, this sounds like crazy talk. Who in their right mind wants an unprofitable business? In times of fundamental business model disruption, however, the main goal is to position yourself for the future, not cling to the past. The biggest risk you face is not evolving fast enough. The fact is, those who are achieving the highest growth in shareholder value are very often the least profitable, because they are aggressively investing in building compelling Cloud offerings, putting the needed support infrastructure in place, and expanding their customer base before the competition beats them to it. Call it short term pain for long term gain. Where do you stand? Is your business worth more because of the Cloud, or is it rapidly shedding shareholder value? The real answer lies not in your current profitability, but how your revenue composition and margin structure are shifting, and whether your customer base is growing or shrinking. Want to get a handle on where you’re really at in this Cloud-first world? I’ve developed a proprietary business valuation model that gives you a concrete sense of what your business is worth today. Ask me for it. It’s free. Caught in the P&L Trap? Revenue drops as customers resist large upfront costs for IT projects, opting for pay-as-you-go Cloud solutions instead. Margins shrink as you re-purpose the resources needed to deliver these solutions. Welcome to the P&L trap. What to do? Immediate response – sell more. Except that requires both a different sales approach, and an online lead generation engine, neither of which you have. And even if you did, the Cloud customer wants a different offering entirely. All of which require material investment to develop. At a time of falling profits. The P&L trap grips you tighter. No matter what you do, it seems restoring profitability gets harder at every turn. 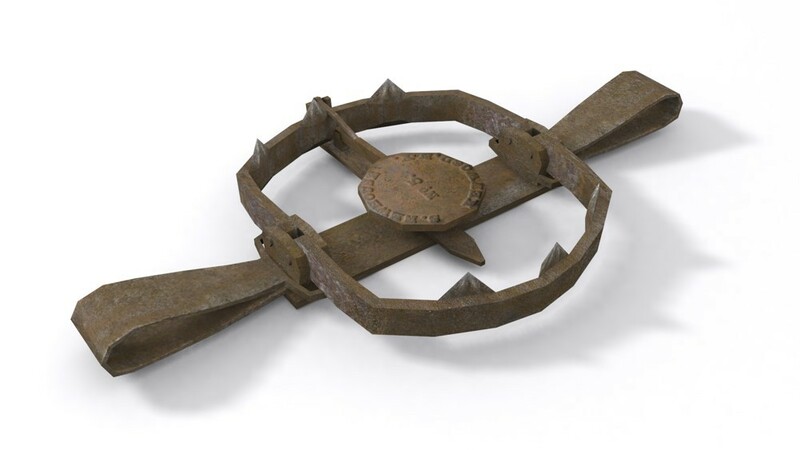 In my experience working with Partners, the first step in freeing yourself from the P&L trap is to recognize that it’s not your biggest problem. As worrisome as your P&L trajectory might be, your business valuation is taking a much bigger hit. That’s the biggest problem you face. To solve that problem, you first need to take a step back. Valuation in a Cloud-first world is fundamentally a function of revenue composition and margin durability. Without understanding where you really are at today, relative to others in your peer group, you really can’t take the steps you need both to increase profitability and the value of your business. 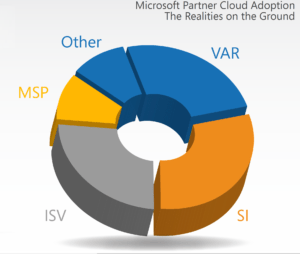 I have recently completed an independent Valuation Study of leading Microsoft Partners. It tells an intriguing story about where the money really is in the Cloud. In exchange for your data, I’ll send you the Study results. Contact me here to participate. The results are in – and they tell an intriguing story about where the money really is in the Cloud. Curious about how you stack up? Do you possess the optimal revenue composition? What is each revenue stream worth? How are your margins, relative to other Partners? Where does your growth rank? Bottom line, how much is your business likely worth today? If you want answers to any of these questions, contact me here. In exchange for your data, I’ll send you the Study results. Almost every owner I work with these days has one burning question on their mind – what is my business really worth in this Cloud-first world we now live in? The urgency of this question really hit home for me at WPC, delivering presentations on this topic at the MPN booth. It seems enquiring minds want to know. Evidently, there are a lot of you. 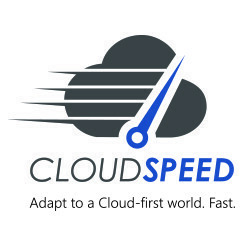 Based on my work over the last several years, I have developed the CloudSpeed Business Valuation Model. It’s a simple tool you can use to give you an estimated valuation range. Ready to Kill your Category? Let’s face it, differentiation has long been a struggle for us. And in the Cloud, it’s probably key to survival. I spent the first half of my career in financial services. We had the same struggle. While we liked to think ourselves better than our competition, the stark reality was that there was little difference between us. Customers chose who to do business with on the basis of price and location. And we hung on like mad to razor-thin margins. Until the rise of the “category killer”. Companies like MBNA changed the game by picking a niche focus (affinity credit cards), doing it better than all of us “generalists”, winning market share, and earning far better margins. I vividly remember Michael Porter (Harvard strategy guru) delivering a keynote and telling a North American gathering of bankers that none of us had anything approaching a strategy, and that this was a disaster for both ourselves and our customers. I could see the blood drain from my CEO’s face. He wasn’t alone. I’m reminded of that moment as I observe the Cloud obliterating traditional Partner categories. No business model or traditional customer base in our ecosystem is protected. The Cloud has leveled the playing field because the customer is looking for real choices. 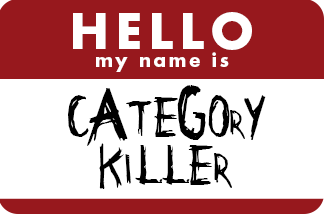 They want someone who specializes in their “category”, whatever that happens to be. And for clarity, categories are not necessarily always vertical in nature, although they often happen to be. The good news is that the Cloud enables entirely new categories. Creativity is rewarded, if it resonates with a particular customer segment and is well executed. Our core differentiation challenge, I believe, is to define and then “kill” a category. By now there can be no debate – we live in a Cloud-first world. And as I pointed out in the last blog, the Cloud business model is all about the long game. Now to truly win at the long game, a Partner will need to aggressively build market share before it’s lost to competitors. Which requires capital. In many cases, an outside capital injection. Raising the question of what is needed to acquire it. What does a potential investor need to see in order to provide capital? Pulling all this together may sound daunting, but the good news is that there’s help. Check out the Cloud Videos tab for guidance on each of the Business Plan elements above. I’ve also developed a Cloud Business Plan Template, based on work I’ve completed with early movers in the Microsoft ecosystem. The Cloud Business Plan Template is free for Microsoft Partners, and can greatly increase your odds of success in the Cloud, as well as reduce your risk. 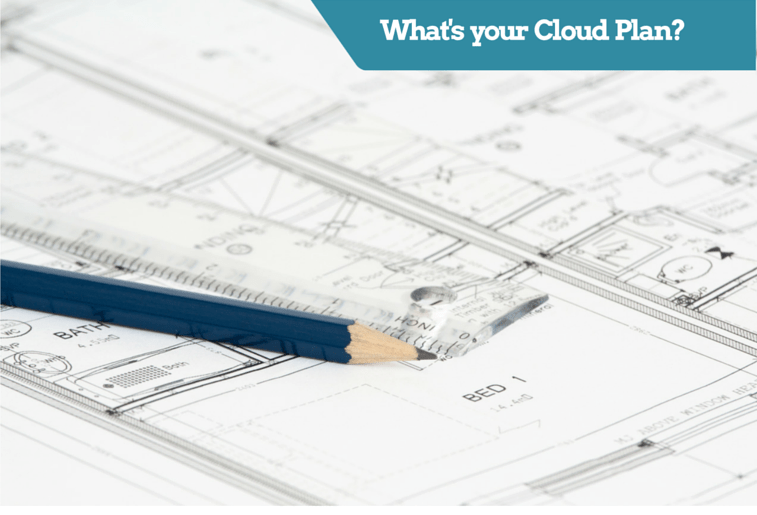 Contact me for your free copy today, and use it to capitalize on the Cloud in 2016. My firm belief is, there’s no time to lose. One of the things that can fairly be said of many Partners in the Microsoft ecosystem is that there is an almost instinctive focus on short term business impacts. That’s quite natural, because in the past, success in any given year was more or less the sum of the successes of each deal you did. You lived and died based on short-term project performance. Certain investments must be made upfront, like an ante. Buying behavior has radically changed and so different marketing and sales infrastructure are needed, for starters. Customers want integrated, industry-specific solutions and so offerings must be far more “productized”. These all represent very real, and largely fixed, costs. Revenue, however, is mostly annuitized; it comes in over time in the form of subscriptions for both products and services. The customer expects lower upfront costs, and so is reluctant to fund the large projects they once did. Operating cash flow, in the short term, is often negative. This deficit must be funded. Compounding this is the fact that market share must be gained quickly. The logic here is to put a fence around as big a customer base as possible, before someone else does. Inertia more or less does the rest in terms of generating long-term profitability, as long as “core” gross margin levels are healthy. This is why company valuations are highest for those who are posting strong recurring revenue growth, even if short term profitability is negative. In effect, technology is becoming a “utility”, and the market is rewarding those who carve out a meaningful niche for themselves as an ongoing product or service provider, rather than simple one-time project services vendors. So in the Cloud, a focus on short term business impacts risks resulting in long-term failure. But it is equally true that to win the long game, you must have a plan. A plan to build a solid, sustainable, defensible market position, before someone beats you to it. As part of that plan, you may also need to raise outside capital, to achieve a suitable economic outcome. Among many Partners, I sense a growing urgency to capitalize on the Cloud opportunity; a sense that there is now no time to lose. And indeed, even as you read this, key strategic positions are being occupied in the Cloud which will be easier to defend than later take. Your future business prosperity, if not survival, rests on not coming late to the Cloud party. In short, the Cloud window of opportunity is open, but indications are it is closing fast. Coupled with this sense of urgency, Partners feel anxiety around all the implications of the different business model required for success in the Cloud. Get a critical element wrong, and the enterprise could be at risk. Identify your addressable market. Focus in the Cloud is crucial, as customers demand integrated, industry-specific solutions. Leveraging your historical base is important, but for most Partners, a greater level of industry or functional concentration will be needed. One that, obviously, will be profitable. Know who you’ll compete with. And what makes you unique. No worthwhile market will remain uncontested for long. To win a solid market share, and keep it, you must be able to differentiate yourself. Build a compelling offering. Typically, this will involve multiple elements. Project services will remain important, but to build vital recurring revenue streams you’ll also need ongoing support offerings, as well as in many cases, your own intellectual property. Build strong and effective marketing muscle. In the digital age, you must be found online to even be considered by a prospect. Not all prospects will buy immediately, of course, so you also need to be able to cost-effectively nurture them. Adopt a Cloud-specific sales motion. Today’s buyer is well-informed, and wants to be in control. This demands a different approach, different compensation structures, and often different salespeople. And depending on deal size, much or all of selling will be remote. Dial in your delivery equation. Repeatability, predictability, and cost-efficiency are the new watchwords. Whether for initial implementations, or ongoing support. Possess a financial plan that creates shareholder value. Valuation metrics have changed significantly since the advent of the Cloud. Traditional businesses are dropping in value, as those comprised of high-margin recurring revenue streams are rising. 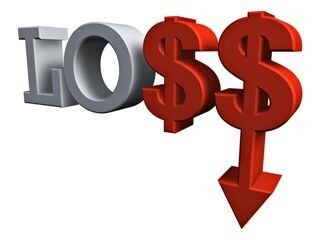 In the short term, some P&L degradation is to be expected as you transition your business model. But you must have a clear picture of how you will create shareholder value, for yourself but also for those who may provide the capital you need to fully exploit the Cloud opportunity. Manage the journey. 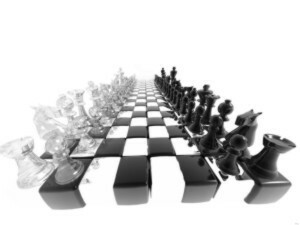 It’s said that if strategy is king, execution is god. A solid management team with Cloud-specific dashboards are always needed to drive the desired results. There can be no more debate about it – the Cloud opportunity is here and the time for focussed action is now. To win, following the above blueprint will be required, for sure. But I believe it’s also important to play “the long game”.